This is the full listing of Soyphisticated Candles jar and tin soy candles, as well as soy melts for your favorite melter. Just click the item of your choice, and you may then make your fragrance selections. We do not use dyes in the soy candles, however, if you would like a certain color, just add that in the 'purchase comments' box (beneath the Scent Selection drop-down) when ordering. 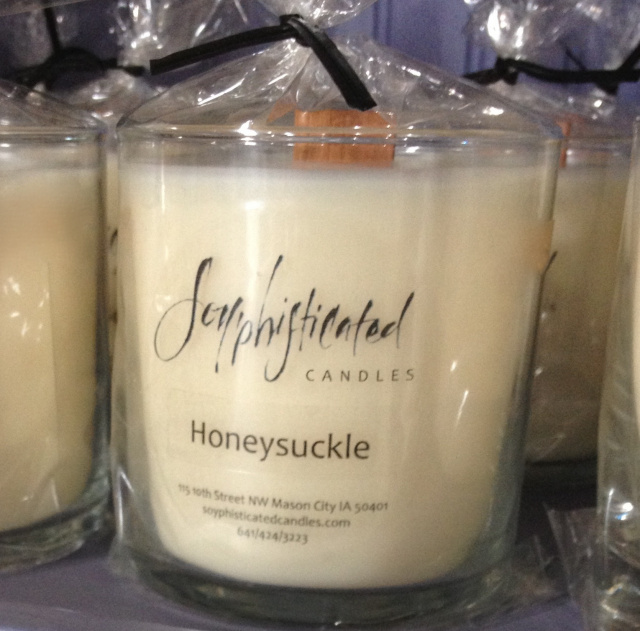 We have found wonderful new soy candle dyes that are eco-friendly and odorless! We are very excited to be able to offer strong, deep colors that are safe for the environment...and you! Enjoy shopping, and thank you!